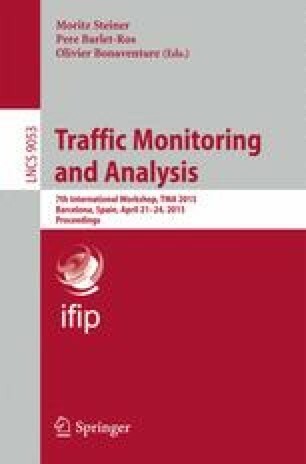 Both network managers and analysts appreciate the importance of network traces as a mechanism to understand traffic behavior, detect anomalies and evaluate performance in a forensic manner, among other applications. Unfortunately, the process of network capture and storage has become a challenge given the ever-increasing network speeds. In this scenario, we intend to make packets thinner to reduce both write speed and storage requirements on hard-drives and further reduce computational burden of packet analysis. To this end, we propose to remove the payload on those packets that hardly could be interpreted afterwards. Essentially, binary packets from unknown protocols fall into this category. On the other hand, binary packets from well-known protocols and protocols with some ASCII data are fully captured as potentially a network analyst may desire to inspect them. We have named this approach as selective capping, which has been implemented and integrated in a high-speed network driver as an attempt to make its operation faster and more transparent to upper layers. Its results are promising as it achieves multi-Gb/s rates in different scenarios, which could be further improved exploiting novel low-level hardware-software tunings to meet the fastest networks’ rates.